"Hi, my name is Gor. I'll be your alien monster from another planet controlling your mind." Narratives of the Horror genre center around five basic fears. 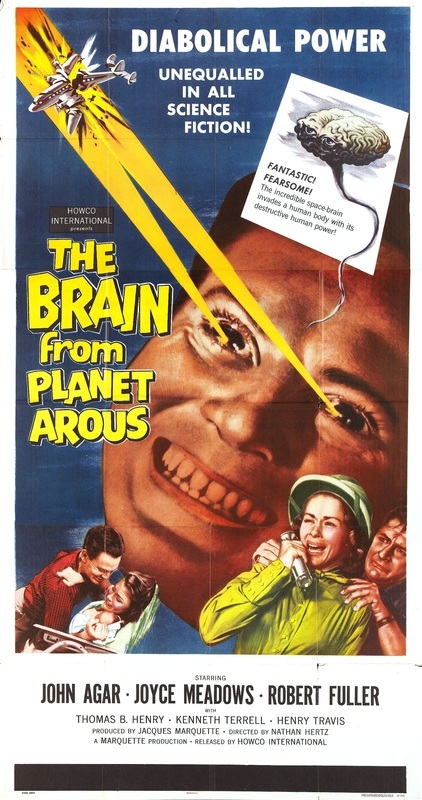 The Brain from Planet Arous is a good film that exploits one of those fears: the far of loss of autonomy. Autonomy is the freedom from external forces. It comes from two Greek words literally meaning ‘self law’. It’s our ability to make rational decisions without outside influences coercing us. When we look at judging actions morally, autonomy is a large consideration. According to philosopher Emanuel Kant, an autonomous person does good simply for the sake of doing good without other incentives coming into play. Autonomy crosses over politics as well as our health considerations. That’s why many people have a living will. Even in the face of brain death, they want the autonomy to decide what happens to them. Nothing like a nice foreshadowing shot of an axe! This is VAL, the good alien brain come to collect GOR. 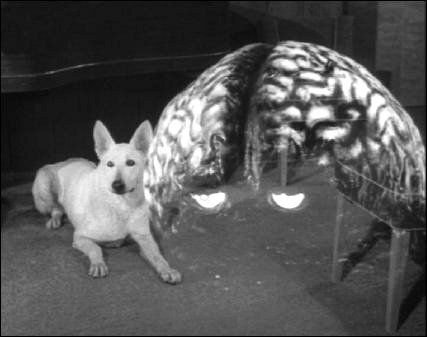 VAL inhabits the dog during most of the movie! It may just be me racially profiling, but I can't tell VAl from GOR. Why are so many horror movies abut other things controlling us?